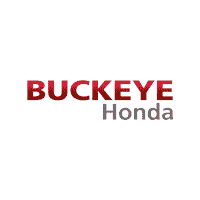 Become a member of the Buckeye Honda Race Team. Details: Have a chance to take the passenger seat in #projectRaceCar during hot laps, hang out with us in the paddock (we won’t make you work … too hard) and experience The Mid-Ohio Sports Car Course. As a member of the team you will have full access to the paddock, pit row, and get the inside track on the best places to watch the races. Members get first shot at riding “shotgun” during full speed “hot-laps” in our Honda Civic race car, with our professional driver. We will take care of food, drinks (non-alcoholic) and t-shirts (while supplies last). This is a family friendly event and there is no cost to be part of The Team. 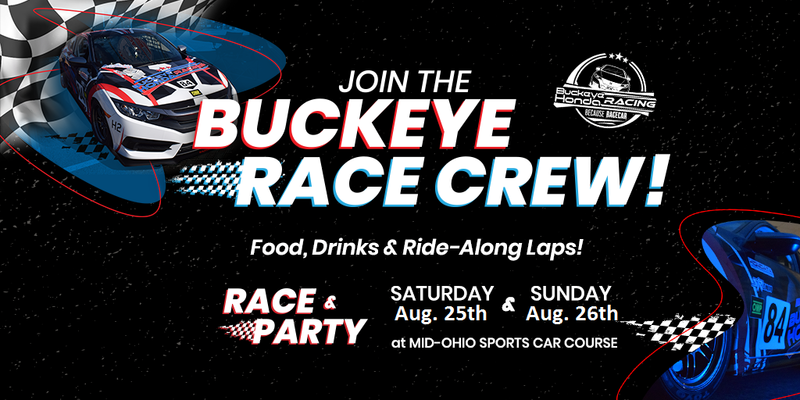 Important: When you get to the track tell the front gate that you are a crew member for Buckeye Honda Racing. They will have you sign a waiver and send you on your way into the track. Yes this event is FREE! Bring the whole family! Registration is appreciated so we know who all is going to be joining us but it is not required. Those who register will get the first chance at ride-along times and a team t-shirts. Don’t forget to tell the front gate you are a Crew Member for Buckeye Honda. Anyone interested in the Ride-Along experience will need to be 18 years or older, be in good health, able to wear a helmet (provided), wear long pants, and closed toed shoes. We reserve the right to restrict riders in the interest of safety. Fill out the form below to let us know you are going to be joining us. We will contact you regarding any available ride-a-long spots that might be available. Let us know today! Being a crew member does not require a Ride-Along. This is where all the action will be happening. Mid-Ohio Sports Car Course! It is about a 90 minute drive from the dealership.